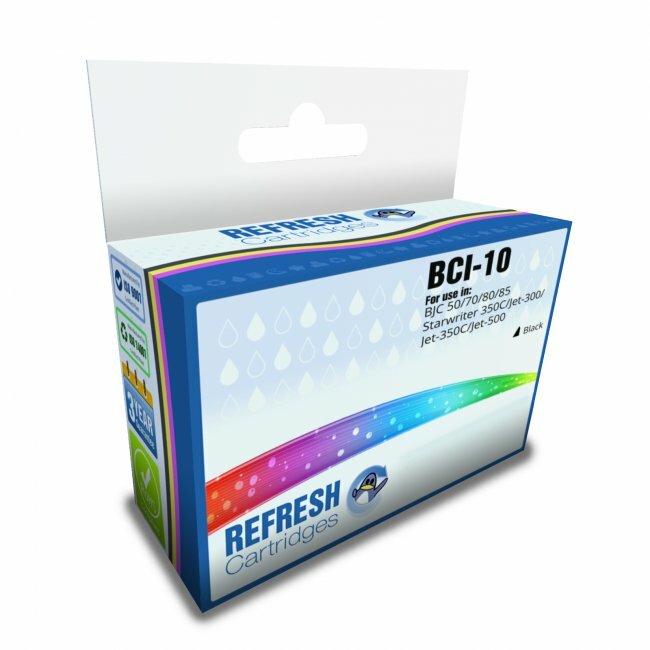 These Canon BCI-10 black compatible printer cartridges offer great quality prints which are comparable to the Canon BCI-10 original versions, but with a much more attractive price tag. 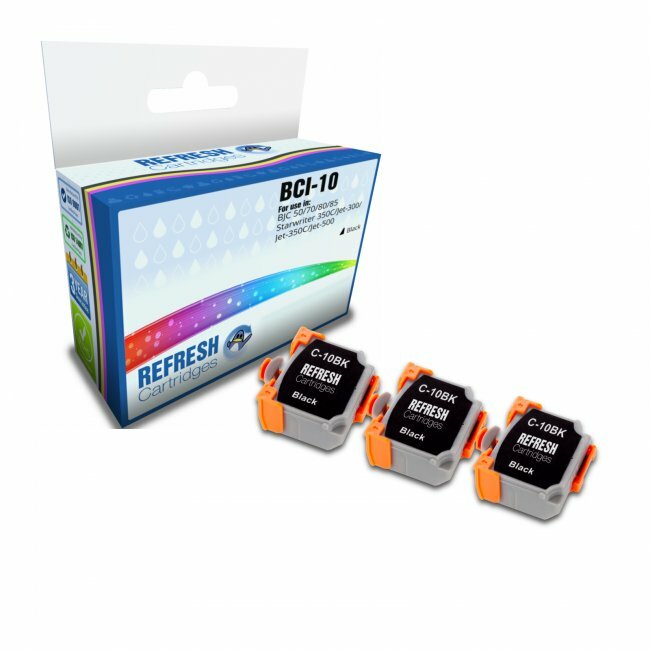 These BCI-10 black compatible Canon printer cartridges come as a 3 pack making them even better value. The BCI-10 compatible Canon cartridges go in a wide range of Canon printers which you can find listed above. 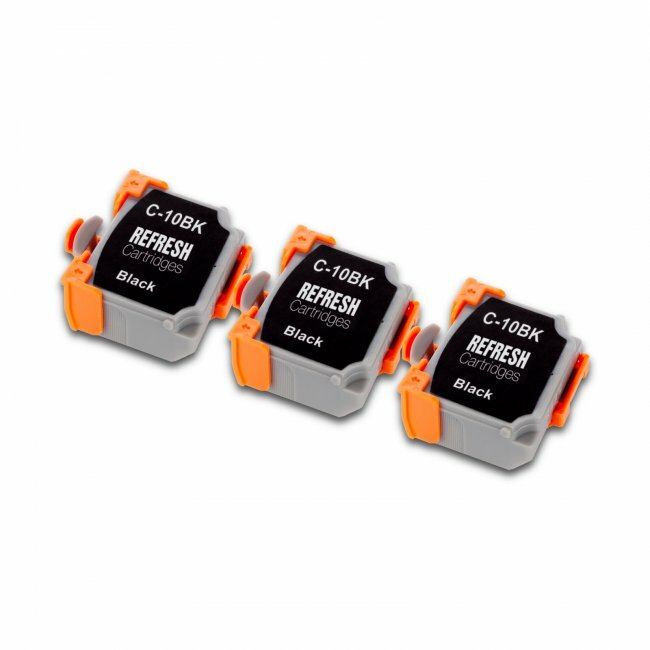 Our BCI-10BK compatible cartridges come with our 100% satisfaction guarantee. All of our prices include VAT and delivery so that the price you see is the price you pay. Love the service you provide. Very efficient. The product is compatible with my Canon BJC-85 portable infra-red printer (the fore-runner to bluetooth). Ink quality is as god as can be. An excellent product with punctual service!